I read The Book Thief written by Markus Zusak. 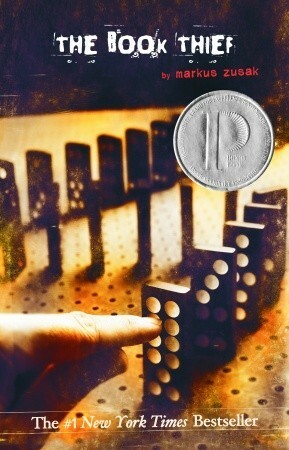 This book is about Liesel Miminger. She doesn't have the best luck. For example, her brother dies on a train, her mom gives her away to foster parents and she's living in the Nazi time. Liesel steals books. Her foster father would wake up at midnight every night and teach her how to read. One night Liese's family hides a Jew, and from there things start to go down hill. I can make a connection with the story because when I was three my dad would help me all the time, working hard to learn to read. My opinion of the book was that it was really good, but I was expecting something a little bit more interesting to happen. My recommendation for this boo is when yous tart to read you should give a long way into it. If you don't it gets a little bit boring.